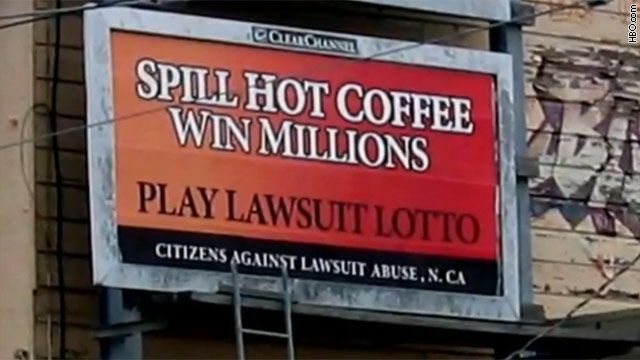 Is There a Frivolous Lawsuit Epidemic in the United States? Truth be told, the "frivolous lawsuit" myth was created by corporations, primarily insurance companies, in order to frighten people into giving up their legal rights; drive legislation that supports caps on damages; and to influence juries into giving smaller awards—all of which save the insurance companies billions and increases their corporate profits. Insurance companies spend millions of dollars every year to fund advertising and public relations campaigns that are designed to shape public opinion. False reports and/or selective fact sharing attempt to convince the public that our court system is clogged with frivolous lawsuits filed by uninjured, undeserving plaintiffs and greedy lawyers. America does not have a frivolous lawsuit problem. A study conducted by The Rand Institute for Civil Justice, one of the country’s most respected think tanks, found that only 10% of injury victims actually seek compensation for their losses (medical bills, lost wages, pain and suffering). The study also revealed that only 2 percent of injury victims file lawsuits. In addition, Rand found that since 1991, tort cases (cases brought by persons who have suffered harm from the wrongful acts of others) make up only six percent of all lawsuits filed. In addition, anyone who understands how personal injury attorneys are compensated knows that there is no motivation for contingency fee lawyers to accept cases baseless cases that have no legal foundation. What can I do to discourage frivolous lawsuits in Washington State? Many politicians, insurance companies, medical institutions and members of the media claim that there is an epidemic of frivolous lawsuits—ridiculous lawsuits that have no legal foundation. The implication is that ambulance-chasing attorneys encourage frivolous, baseless-claims to make more money for themselves, and that these meritless lawsuits are the primary cause of rising medical and insurance costs. This just isn’t true. Most personal attorneys work on a contingency fee basis. The design of the contingency fee system actually reduces the number of frivolous lawsuits and unsupported litigation by discouraging attorneys from presenting claims that have no legal foundation, negative value or otherwise lack merit. The contingent-fee arrangement ensures that the personal injury attorney believes in the case and knows that there is proper legal basis for the claim. An attorney that works on a contingency fee basis would be unwise to take on cases that have no legal foundation solely because of the financial investment attorneys are required to put into the cases they handle.